EDIT: Made some changes, along with separate files! 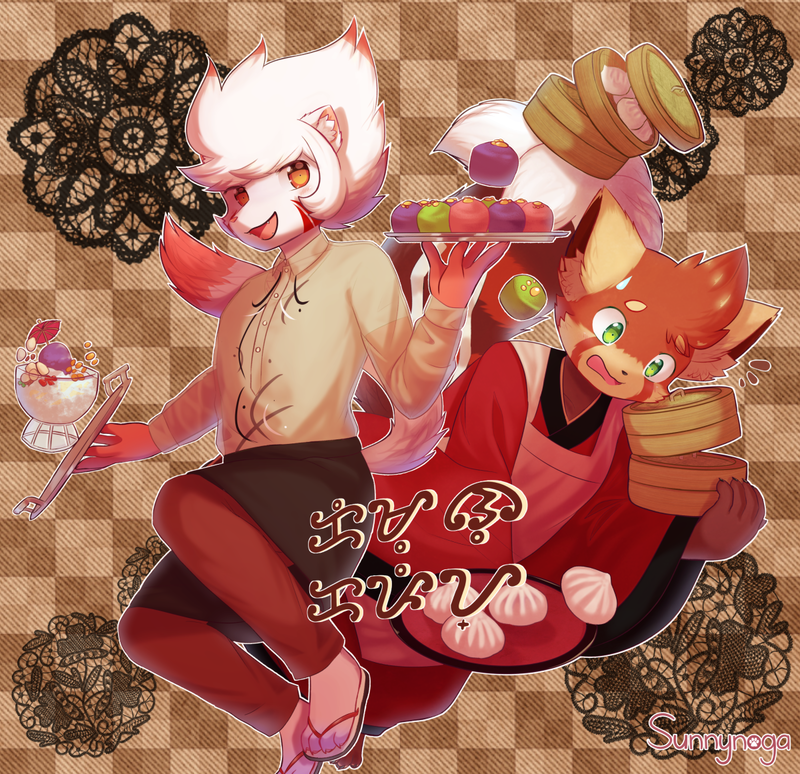 Translation notes: Kemono Cafe in baybayin text! To my Spanish speaking followers, i am aware what it means in other countries but here it just means rice cake. I pretty much like traditional clothing aesthetic. You're welcome! This is my first time drawing characters separately because the files get large. Thus the layering got complicated for the overlays and textures. Oh no. We must catch the cute red panda!